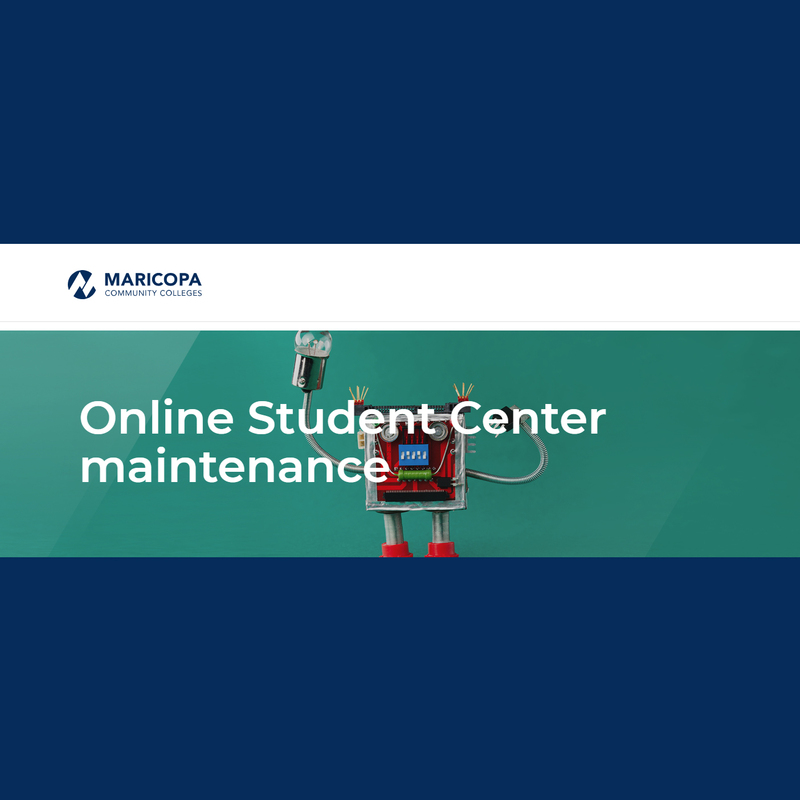 Rio Salado College | RioNews: My.maricopa.edu Outage Today, 5:15 - 7: 15 p.m.
My.maricopa.edu Outage Today, 5:15 - 7: 15 p.m.
Our Maricopa Community Colleges Student Information System (SIS), Admissions application, MAPP Student Acknowledgement Form, MyInfo, and Reactivate ID portals will be down for scheduled maintenance today, Nov. 6, 5:15 - 7: 15 p.m. This means you will not be able to enroll in courses, access your class schedule, sign up for MAPP programs, make payments, check grades, or reactivate your MEID until after 7:15 PM. Get the latest details by visiting this web page. Thank you for your patience as we work to update our systems!